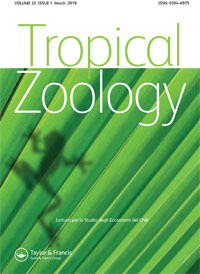 Tropical Zoology is an international journal publishing original papers in the fields of experimental and descriptive zoology concerning tropical areas, with particular attention to the Afrotropical Region. Review papers are welcome. A book review is included. As a rule, the yearly volume comprises four issues online (two printed). For further information on the journal and subscription please visit our Website.